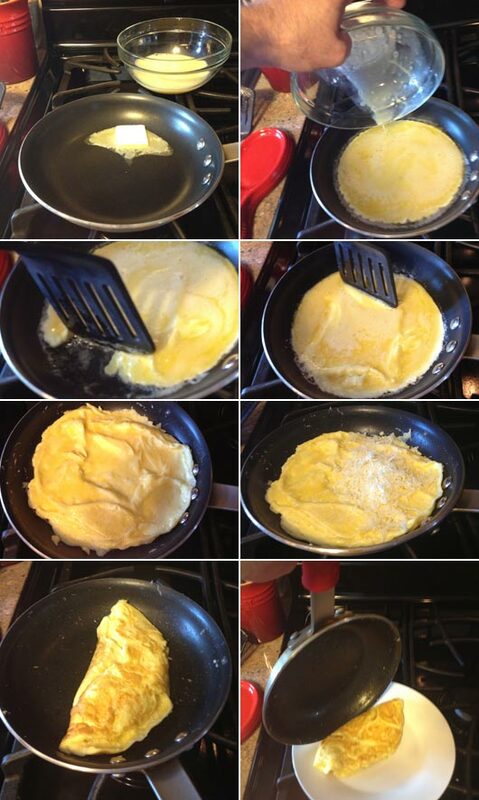 Here's a quick tutorial on making a fast omelet. The recipe was submitted to the site back in 2003 by 'MiniMidgy'. I tested it and photographed it this morning (July 2013). Mine actual took 50 seconds, but that seemed within the parameters of success. Instead of an 'inverted pancake turner' I used a spatula. 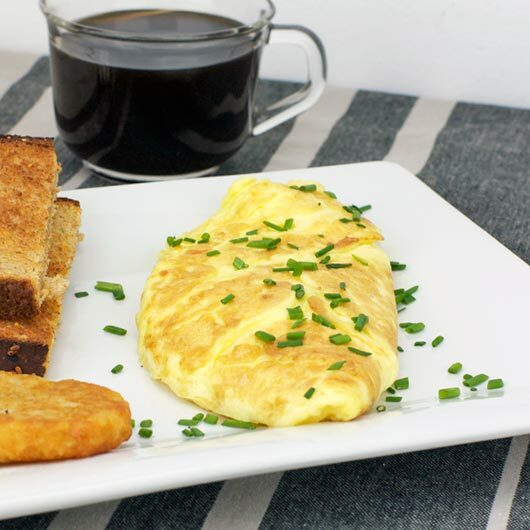 The omelet pictured here was filled with a blend of Italian cheeses and garnished with chopped chives. Beat together eggs and water until blended. 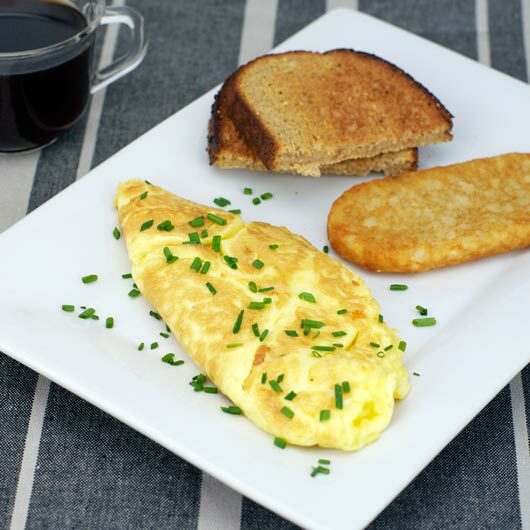 In a 10-inch omelet pan heat butter until just hot enough to sizzle a drop of water. Pour in egg mixture. Mixture should set immediately at edges. With an inverted pancake turner, carefully push cooked portions at edges toward center so uncooked portions can reach hot pan surface, tilting pan and moving as necessary. Continue until the egg is set and will not flow. Fill the omelet with 1/2 cup of desired mixture. With a pancake turner, fold omelet in half. Invert onto plate and serve immediately. A quick tutorial on making a fast omelet. Only three ingredients required. Mr Breakfast would like to thank MiniMidgy for this recipe. Recipe number 907. Submitted 3/29/2003.